Flordeliza graduated from Algonquin College in 2018 with a paralegal graduate certificate and received her undergraduate degree at Carleton University with BA Honours major in Law with a concentration in Business Law. 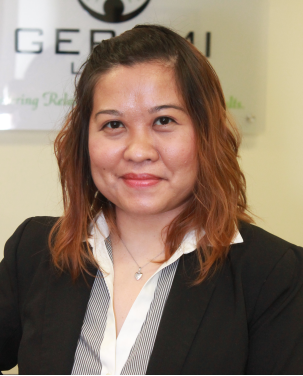 Prior to joining Gerami Law PC, she had her field placement at the Community Legal Services of Ottawa- West Office. She is also an active member of the County of Carleton Law Association (CCLA) and a student representative in the Paralegal Committee. Flordeliza also had several experiences in customer service and administrative support locally and abroad. She likes reading and meeting people from different communities.